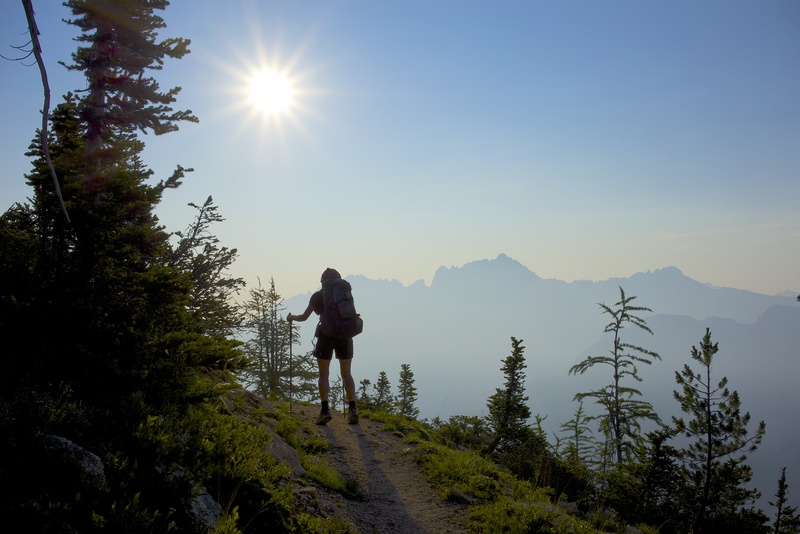 The Pacific Crest Trail (PCT), made famous by the Hollywood blockbuster, Wild, starring Reese Witherspoon, is known as one of the most gruelling, yet rewarding hiking trails on the planet. 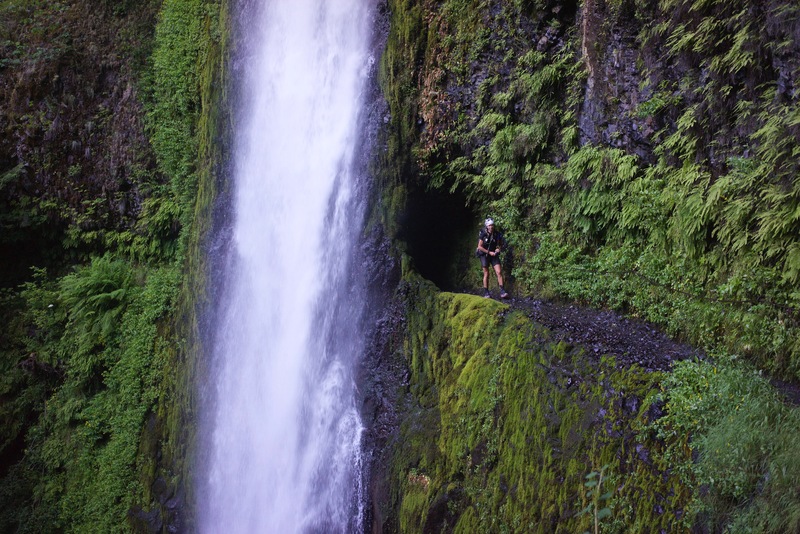 This wild, scenic path covers a total distance of 2,650 miles and runs from the Mexican to the Canandian borders, winding its way across some of the most punishing terrain on earth. A through-hike of the trail (making it from one border to the other) is considered a true feat of determination and fitness with an element of luck thrown in, but to actually complete the trail both ways or YoYo it in one go is almost unheard of – only three people have been recorded to do so in the history of the PCT. 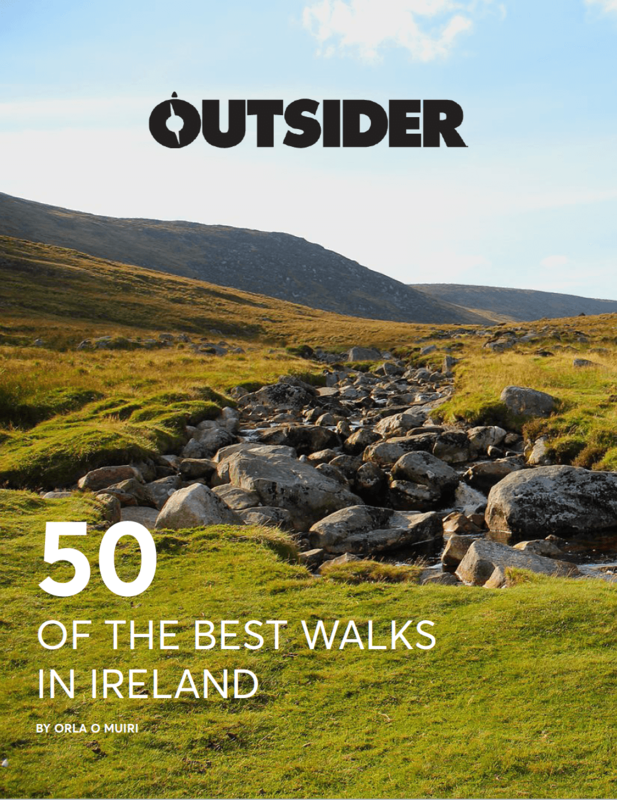 One of those three people is Olive McGloin, an air traffic controller from Beaumont, Co Dublin, who is the first and only woman to take on the PCT, there and back, in one go. 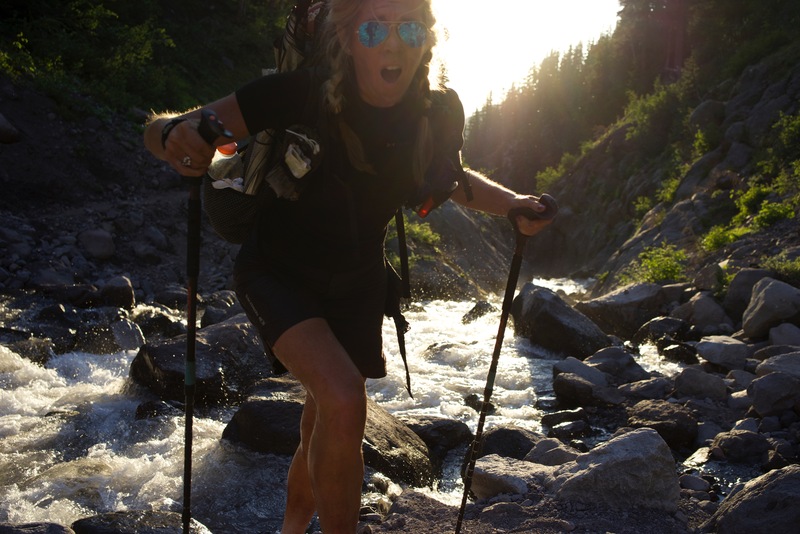 We caught up with Olive to find out a little bit more about her motivation for taking on this mammoth challenge, how she coped out in the wild for 195 days and that moment that she was woken by a bear sniffing her face. My husband always tells people I am strong willed. I think it’s really code for being a stubborn Irish woman!! I was two and a half when I climbed my first mountain. My dad brought my five older siblings up the Sugar Loaf. I was meant to stay in the car with my mum and my younger brother but instead I ran after my dad and right up to the top. I always thought we had wonderful summers in Ireland. I don’t remember any rain. My Dad was a teacher and then a lecturer so we used to spend the summers travelling up and down the west coast in our VW campervan. We would camp here, there and everywhere, spending all of our time in the outdoors. In 2005, myself and my husband finally persuaded our employers to give us a gap year so we could hike the Appalachian Trail which is 2,174.9 miles long and then head to Australia for two months followed by New Zealand for a month before heading on to South America to climb Aconcagua. Once we got to Australia we realised we could never cover it in such a short time so we changed our plans. We ended up buying a beat-up Nissan Patrol and driving 26,000km around the country. I came across a book in a country bookstore about cycling in New Zealand so I turned to my husband and said: “What do you think of this?” We then traded our four wheels for two and set off on a 3000km cycling adventure. Travelling changes your priorities. It changes the way you see things. You know you are just one step away from the world out there. I lost my dad very suddenly. We had been planning the PCT together. That really cemented in my mind that life is too short. So my husband and I just nagged and nagged and nagged our employers for the time off that we needed and eventually they said yes. Apparently, it’s impossible to YoYo the trail on your first through-hike. I am glad I didn’t know that at the time. You have to plan to be flexible. Our plan went out the window on day two so we had to adapt. You start with 700 miles in the desert and it is hard, hot and dry. California was in its fourth year of drought so we decided to carry more water than other people because we didn’t want to have to depend on anyone else. We never freaked out about anything. When there wasn’t water for long sections we would get up at 2am and hike in the dark because we couldn’t carry the amount of water that we would need to consume while hiking during the day. We learned to adapt to our surroundings. I would think about my dad and really appreciate all of the places that he had taken us as kids. Those adventures were the reason I got to spend 195 days in the wilderness on the PCT. I got to really feel what is really important in life – water, shelter, food. And some days the order of importance of those three things would change. We spent 182 days actually hiking on the trails. On average we would be on our feet for 17 hours a day. We had eight zero days on the way up and five on the way back. But those zero days aren’t rest days, you are not sitting on your backside – you have to wash your clothes, look after your feet, head to the Post Office to pick up your re-supply package and try and make contact with your family, all the while you are also trying to get as many calories on board as you can. My husband got injured on the return leg and I thought that it was all over. He hid his injury from me for two days but I began to notice that we were losing time. I took weight from his pack but I could see he was in a bad way so we needed to get him off the trail. My husband was distraught. We took a 12-mile walk down a tiny dirt road to the nearest town. I thought that this was the end of the road for us both but then he suggested that I should go on and he could get a car from there. I agreed to give it a go. The first morning I left on my own I really questioned what I was doing. But then my dad came to my mind and I thought we had given up too much for me to stop at that point. A bear came sniffing around us one night when we were sleeping without our tent. I woke up to find the fear sniffing my head but he just ran off so we went back to sleep. We were also stalked by a mountain lion and saw rattlesnakes and elk. I have a huge respect for the animals out there – it is their environment. I was in pain. Everything hurt. I might sleep for an hour and a half but then I’d wake up because my bones were resting on bones – I had no flesh. I had to tape my spine and across my back as the skin had become so thin it was in danger of wearing away completely. I went through 11 pairs of shoes. I wore Hoka cross-trainers because they are really light. The pair I wore in the Sierras only lasted 300 miles – they are not designed to go hiking in the snow where they are frozen for 20 hours a day so I had to tape them together. The weight of my shoe probably doubled due to the amount of duct tape I had used to keep them together! My umbrella was my most valued piece of equipment that I brought with me. It was super-light and it had so many uses. I used it for shade in the desert which took the temperature down by about 5 degrees, then we used them in the rain and at night to protect us from the wind. Your endorphins are overloaded when you are out in that environment. It is difficult not to be in a really good place. You can choose to give up but we had a huge goal to do one through-hike and then to turn around and go all the way back. I wasn’t willing to let that go, so on the tough days I would think about the incredible scenery we had seen or what might lie around the next corner. I would also dream of the food I would have in the next town. Things are different when you are out there. It doesn’t matter what you have or what you don’t have, you would give up everything you have to help someone else and vice-versa. There is a whole community of people that we call trail angels – I mean we had people pick us up in the snow when we were trying to get to a hotel and they actually drove us past three hotels that were full and then turned to us and said: “Listen, you are coming back to our house. I have spoken to my wife and she will cook you dinner. We’ll drive you back to the same spot on the trail at whatever time you like in the morning.” It was so nice. We try to give back here but people are so sceptical and suspicious. But there is a hell of a lot of good out there if you make yourself vulnerable and allow people to help you. People who knew what I was doing really wanted me to succeed. Complete strangers would leave water and food for me on the trail. There were smiley faces drawn on some of the items but no names – they weren’t looking for thanks, they just wanted to help me out. My one piece of advice to people would be to go out there and be bold, scare yourself a little. Start small. You don’t have to think about doing a 1,000-mile hike – go out and step out of your comfort zone and just experience the world. Life really is too short so you need to do things to make you happy now. If you are planning to head north, you must leave between mid-April and early-May. Southbounders should aim to leave between late-June and early-July. If you leave too early there is too much snow in the Sierras, if you leave too late, it gets dangerously hot in southern California. 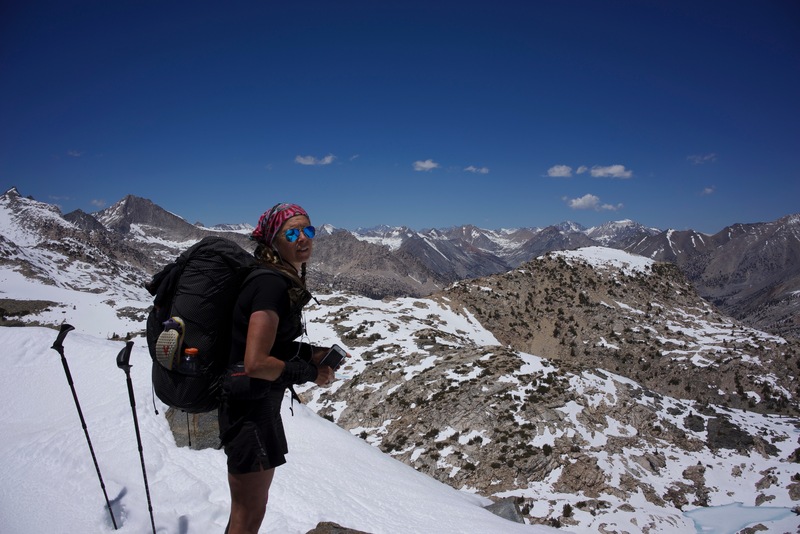 It takes people an average of five months to walk the PCT one way. The elites will complete it in two months. Few people have completed it in under 100 days, Olive is one of a select group who covered more than 30 miles a day. You need to organise your permit three weeks before you intend to set off on your hike. 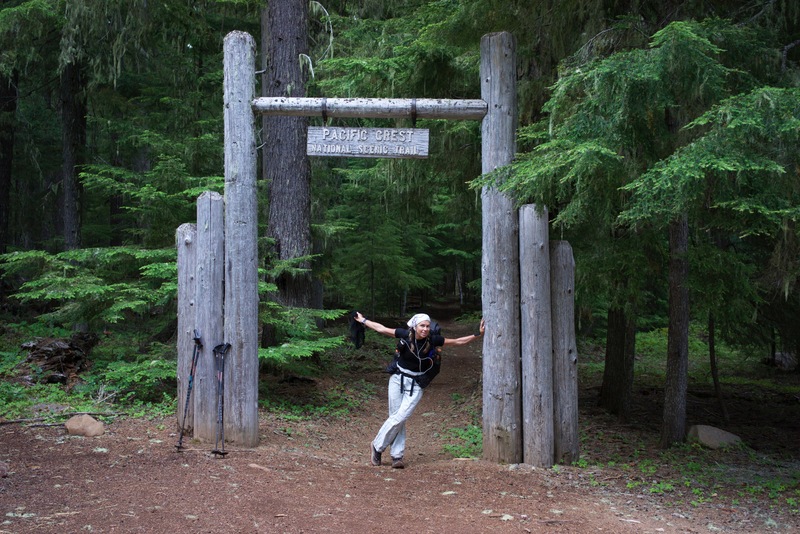 The trail is fairly well marked and described on maps and guidebooks. The trail tread is also well defined. A typical through-hike costs anywhere between $4,000 and $8,000.